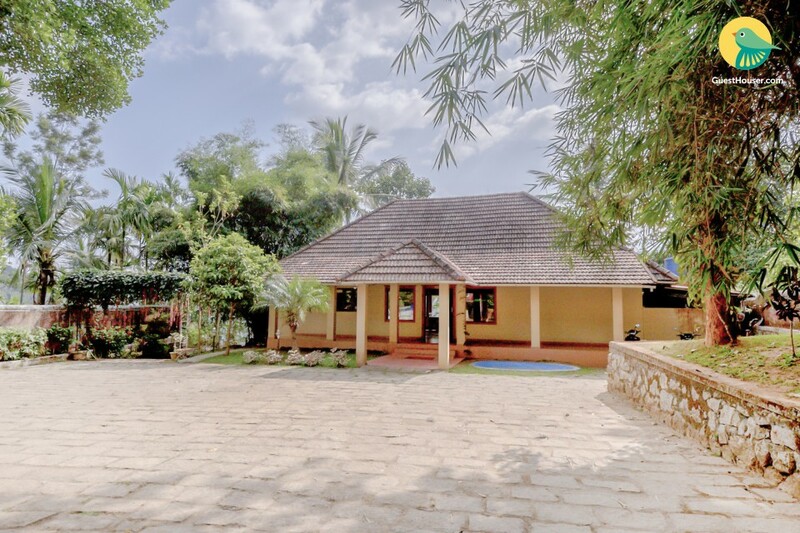 Set against the backdrop of lush tea gardens, this is an offering of a one-bedroom cottage, ideal for a close group of friends looking to enjoy a relaxing vacation. 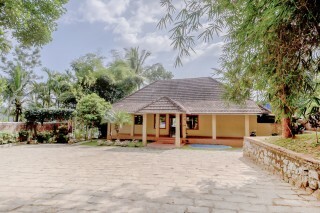 The property is abounding with lush foliage, and the room can accommodate up to three people. 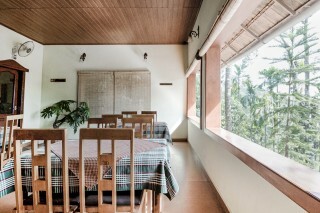 The brick-tiled roof and creamy walls lend the cottage a rather rustic charm. A swimming pool is located at one end of the property so you can unwind and take a relaxing dip. 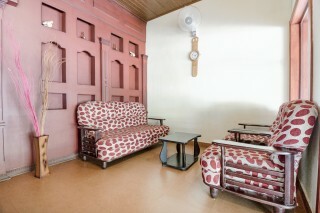 The living room is designed with crimson walls and wooden flooring, which add to the aesthetics of the cottage. A comfy sofa set and a coffee table is placed for added convenience. 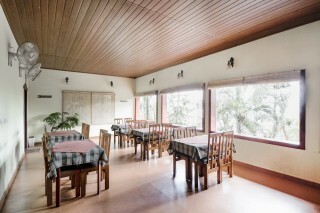 The dining room features glass-panelled walls so you can enjoy the tropical greenery while you relish a tasty meal. The bedroom is furnished with a plush double bed, two bedside tables, a couple of arm chairs, a coffee table, and a storage unit. There is a wood-finished wardrobe for you to store all your belongings without any hassle. A television is placed in the room to keep you entertained while you are indoors. The en suite washroom is tiled and well-appointed with western sanitary ware and modern fixtures. 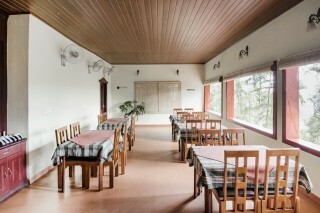 The wooden- floored room also has an attached balcony, so you can enjoy the abounding foliage with a cold beer in hand. Places to visit: Chembra Peak - 19.9 km. Edakkal Cave - 23.7 km. Kuruva Island - 53.3 Banasura Sagar Dam - 40.8 km. Thirunelli Temple - 72.6 km. Pookot Lake - 25.7 km. Meenmutty Falls - 15 km. 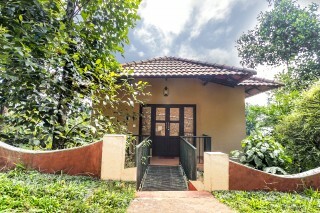 2-BR Cottage with Amazing Environment & View. 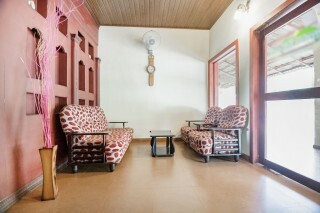 Kozhikode Railway Station - 86.6 km. Calicut International Airport - 98.1 km. Meppadi Bus Stand - 7.6 km.